Celebrate the End of Summer with Julian's Kitchens and Team! Dive into an unforgettable evening enjoying the company of new and old friends. We'll watch the sunset over the water at Terminus Wake Park while experiencing the exciting sport of wake boarding, devouring a delicious seafood dinner with wine and beer! Underneath the stars in Historic Downtown Cartersville, friends gathered around a table reflecting the Harvest. 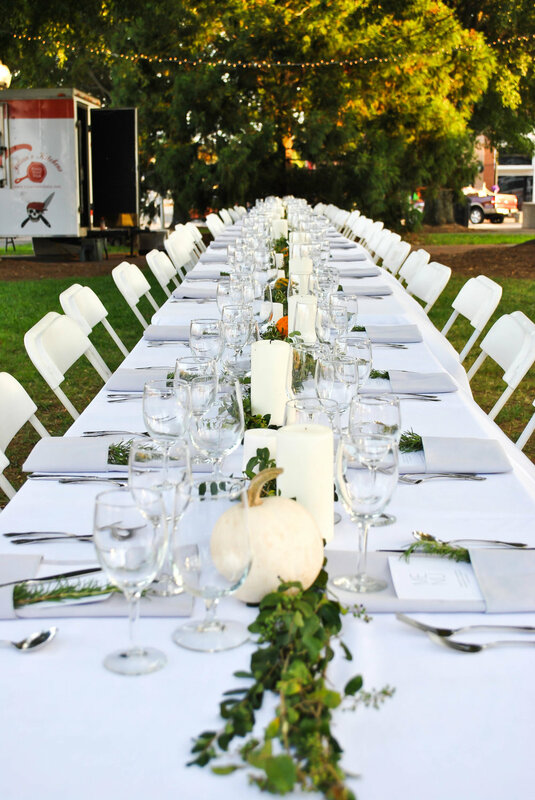 With a cool fall breeze and music playing in the background, guests were treated to an immaculate five course meal paired with exceptional wines from the Cartersville Wine Club. Friends gathered at Reformation Brewery for a unique beer dinner featuring food from Julian and his team. Guests were treated to a full-service, 5-course culinary experience paired with 6 Reformation beers, including a tour of the brewery. We gathered together to xperience the divine process of taking a grape from vine to wine with a five course dinner and wine pairings in the beautiful Southern Appalachian Mountains. Julian created a multi course dinner paired to North Georgia's greatest wines. Guests left with an unmatched experience and an authentic memory of the wine making process.